Indian Prime Minister Manmohan Singh’s office announced Saturday that he will attend the U.N. climate change has already announced cutting of carbon emissions by 20% to 25% by next decade. This decision of India has been welcomed by the international groups. Leaders of more than 100 nations are taking part in climate change conference, which aims to reach a new international agreement on reducing emissions and assistance for developing economies working to slow the global warming trend. America would always like to not have a Kyoto Protocol type of agreement in this summit and hence is hoping to turn agreement in its (rich countries’) favour. 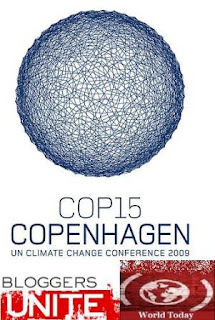 Participants in the Copenhagen meetings are trying to reach a new international accord to replace the 1997 Kyoto Protocol, which expires in 2012. India and China may not be good friends back in Asia, but on the issue of climate keeping in mind the mutual uninterrupted development of both the democratic India and communist China have joined hands to well place countries. U.S. President Barack Obama, India’s prime Minister Singh and most other heads of state or government are expected in the Danish capital during the final sessions of the 12-day conference, which begins Monday. Mr. Obama will be arriving in Copenhagen for the end of the conference on December 18. It is believed back home that U.S. leadership would be “most productive” during the final rounds of talks. Scroll down if you are looking The World Reporter for discussion on this post. Or you may like to know what others are saying on this topic.